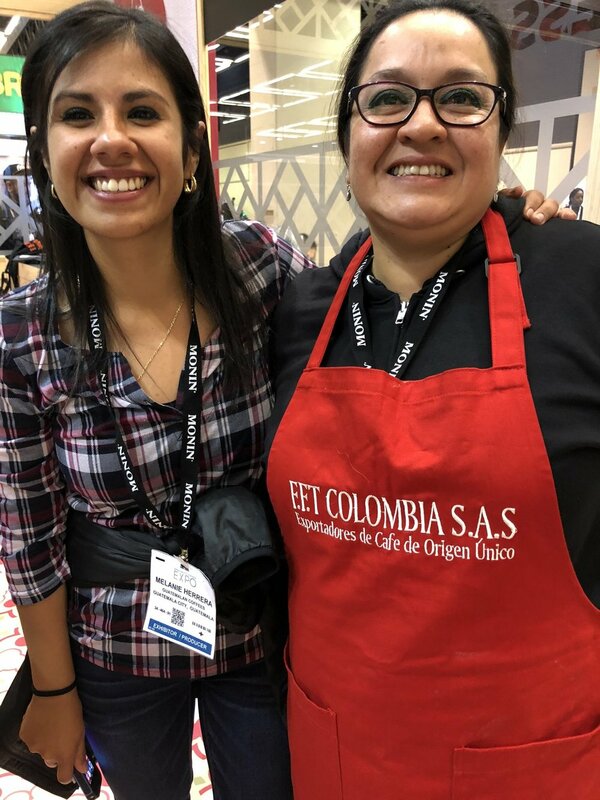 Dulce Barrera recently triumphed over twelve other competitors to take the inaugural CCS Colombia Tasters Challenge crown at the SCA. When not killing it in competitions, Dulce is in charge of Quality Control for Zelcafe, our partners in Guatemala. It is not surprising that a professional cupper might win a cupping competition against coffee professionals who have to leave the cupping table now and then to run a roaster. What is remarkable is that Dulce has only been cupping for a few years, and in that time she has managed to win the Guatemala Cup Tasters Championship two years in a row. But it wasn’t sheer luck that won Dulce these accolades. Nor can her success be put down to natural talent. It was dogged determination and constant practice, as she explains below. I began working with the Zelaya family at the Bella Vista mill on January 4, 2002. We were working with small producers and processing record quantities of cherries. About eight years after I started, Luis Pedro (Zelaya) began working with micro-lots to meet the demand from our customers. It was my job to prepare the samples for the Quality Control manager, who came the to farm once every week or so with customers. That’s when I discovered coffee cupping, and I wanted to know more. Luis Pedro invited all the administrative staff to learn to cup coffee. We worked in a small space that later became the Bella Vista laboratory. Long after everyone else had left I was still there, tasting tasting tasting, learning everything I could. I shadowed the Quality Control manager each time he came to Bella Vista, and I learned how to score coffees. I learned from the customers who came to taste coffees, people like George Howell, Laura Perry, Tal Mor, Tom Owen and others. It was difficult because I don’t speak English, but I watched to see what they liked and didn’t like, and always tasted those coffees once they were done. The Bella Vista Quality Control manager retired around three years ago, and I became the cupper for Bella Vista. I was still learning, so if we had major doubts about a coffee we would send a sample for a second opinion, but Luis Pedro had faith in my skills. In May 2016 he entered me into the Guatemala national Cup Tasters Championships. He didn’t tell me until a week before the event! I had no idea how the competition even worked, and I finished in seventh place, just outside the finals selection. I competed again in 2017 and I made it to the finals in fourth place. I won the final, the first woman to win the Guatemala Cup Tasters Championship, with seven correctly identified coffees in 5,24 minutes. I went to Budapest to compete in the international competition, and placed 21st. This year I won the Guatemala Cup Tasters Championship again, and I am ready to compete for the international prize in Dubai in November. At Bella Vista I work with small producers. I make sure to record all the information about each lot, where the coffee is from, the altitude, the varieties the farmers work with. I manage the Quality Control, and I give a price to the farmers based on the quality of their coffee. Guatemala is known for its washed coffees, more so than its honeys or naturals, but these days there is a trend to experiment and buyers want to see more flavor options. My favorite Guatemalan coffees are bourbons from Antigua for their bright and sweet cups with notes of peach, plum and cane sugar, and coffees from Huehuetenango for their tropical fruit notes with pronounced acidity. Best wishes and I hope you enjoyed my story.